You may have noticed that there is a lot of purple on my blog today. It will be there until May 16th to help raise awareness and to remember Maddie Spohr. I know you are here for the torte, but I wanted to take a minute to announce the 2nd Annual Blogging for Babies Event. This year will be different than last year though due to recent events of the Spohr family to whom my heart goes out, especially today as they are gathering with their loved ones to remember Maddie and celebrate her life. So, to remember Maddie, and all the families and babies who are affected by prematurity, my blog (and many others) have gone purple - the color for the March of Dimes. 1. Make something small - as in small in size or individual servings - sweet, savory, whatever - and post it before May 10th - they entries are small, as in Little Wonders, like the babies and families they are meant to pay tribute too! 2. When you blog about it, please link to this event notice, and if you have a story about children (yours, someone else's, whoever) that you want to share, please do! 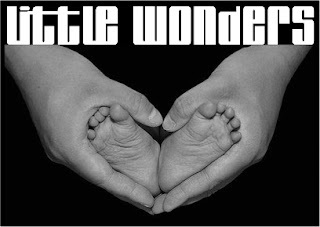 Also, please feel free to use the Little Wonders badge on your post. As some of you may know, I have been active with the March of Dimes for a few years now, but it never hit so close to home as on October 13, 2007 when Cole was born 7 1/2 weeks early at 3lb 6oz. After a relatively brief 28 day stay in the Newborn Intesive Care Unit (NICU) Cole was able to come home at a whopping 4lbs 12oz. He is now 18 months old, 16 mo 1 week adjusted. He is doing quite well considering what we could have been faced with, and for this I am and always will be eternally grateful. This is not the case for everyone whose lives are touched by premature births and by this precious tiny people. That is why all my heart goes out to the Spohr family while they are dealing with the loss of their sweet little Maddie. I usually ask that you try to sponsor my little family team in our March of Dimes March for Babies walk (this year on May 16th), but this time, I ask that you go to the Spohr's blog and see why I am passionate about the March of Dimes and the research and work that they do to work towards all babies, someday, being born healthy and strong. Instead of sponsoring us, please, if you can donate any amount at all, please donate it in remembrance of Maddie on the Spohr's blog. Even if you can't donate, but you want to help, please participate in this Blogging for Babies event to get the word out about the March of Dimes. You could even sign up and create your own family and friends (or business or whatever) team and walk in a local March. Every little bit helps with raising awareness about this! It is interesting that this week was my turn to choose the recipe since it is actually also my one year anniversary of being part of the fabulous Tuesdays with Dorie! I don't know I would have done without this group and the support of the friends I've made here! Thank you, thank you, thank you Laurie for being a genius and coming up with this idea in the first place, and thank you to Dorie for such a fantastic book and being so supportive of the group! I chose the Chocolate Amaretti Torte for a few reasons: (1) My recipe choice had to be chocolate, of course; (2) I wanted to choose something that had no photo in the book, so that we could have the chance to all make it together; (3) Did I mention my need for chocolate... oh, yeah, I did; (4) I have never heard of making something like this, so I was completely intrigued. Was I satisfied? Absolutely. I couldn't find the cookies Dorie suggests, but thankfully, she said you can use most any brand with great results. The torte is chocolate and almond, combined at their very best. You can use the torte for a hot fudge sundae, as Dorie suggests, or to make mini tortes, like I did. I used three 5-inch paper pans to make my tortes. The torte is great from the freezer, and great with the chocolate sauce on it, and great without it out of the oven, and great with the almond whipped cream. In other words, it is just a great recipe. I hope that everyone else enjoyed it as much as I did! Thank you so much to everyone who bakes along this week! Center a rack in the oven and preheat the oven to 350 degrees F. Butter an 8x2-inch round cake pan, line the bottom with parchment or wax paper and butter the paper. Dust the inside of the pan with flour, tap out the excess and put the pan on a baking sheet lined with parchment or a silicone mat. Put the amaretti and almonds in a food processor and pulse to grind them finely and evenly. Turn out onto a piece of wax paper and set aside. Put the butter, sugar and eggs into the processor and process for about 3 minutes, until the batter is very smooth and has a satiny sheen. Stop to scrape down the sides of the bowl as needed so the ingredients blend evenly. Pour in the amaretti and almonds and the melted chocolate and pulse just until they are thoroughly incorporated. Turn the batter into the prepared pan and smooth the top with a rubber spatula. Bake for 25 to 30 minutes, or until a thin knife inserted into the center of the cake comes out almost clean - streaky is more what you're looking for. The cake will dome slightly and the top will look dry; it might even crack - don't worry. Transfer the cake to a rack to cool for 15 minutes. Run a knife around the sides of the pan and unmold the cake onto the rack. The cake will be very thin. Peel off the paper liner, invert the cake and cool to room temperature right side up. When you are ready to glaze the cake, put the cake, still on the rack, over a sheet of wax paper (the drip catcher). Put the chopped chocolate in a 2-cup Pyrex measuring cup or in a bowl with a spout. Stir the cream, sugar and water together in a small saucepan, and bring to a boil over medium heat. Pour the cream over the chocolate and wait for 1 minute, then, using a small rubber spatula, gently stir until the glaze is smooth, blended and shiny. Pour the glaze over the top of the cake and, with a long metal icing spatula, spread it over the top, allowing it to spill over the sides of the cake; then smooth the glaze over the sides. Refrigerate the cake for about 30 minutes to set the glaze. Working with a stand mixer fitted with the whisk attachment or with a hand mixer in a medium bowl, whip the cream on medium-low speed until it holds soft peaks. Beat in the almond extract. Sift the confectioners' sugar into the bowl and fold it into the cream with a rubber spatula. Slice the cake and top each slice with a spoonful of almond whipped cream, if you have it, and a sprinkling of crushed amaretti or toasted almonds. Dorie says: I like to use this cake as the base of a hot fudge sundae. Top each wedge of cake with a fat scoop of ice cream, cover with Bittersweet Chocolate Sauce and top with a respectable amount of whipped cream, some toasted almonds and, if you're the old-fashioned type, a maraschino cherry. Prepare four 4-inch round cake pans, divide the batter among the pans and bake for about 25 minutes. If you need to make more servings, the recipe is easily doubled. Thanks for picking this recipe, I liked it! Unfortunately I wasn't able to taste the torte with the optional cream.... It curdled! Thanks for choosing this recipe, it was great !! Thanks for choosing this! I loved making an amaretti cake. It looks fabulous and rich, Holly. I'm sorry I didn't get a chance to bake along with you this week. It looks like a luscios choice. Thanks for choosing such a wonderful recipe this week! Your mini-tortes are lovely. Nice and gooey! Looks great! Wow, looks fabulous! Love that you are participating in March of Dimes! I may have to participate in that! Thanks for hosting this week! Sorry I wasnt able to bake along! Your torte looks great! Thanks for hosting this weeks recipe! Thanks for the info on March of Dimes, too! You're the best. Great choice. A home run for my Passover dinner. Congratulations on the new gig too! I couldn't find the amaretti and didn't have time to make my own; but am determined to make this torte soon. Great pick - it looks like everybody really liked it! Oh, I like the idea of making little ones in paper pans...great choice. Very lovely job...the texture of yours is amazing! Great pick, my family loved it, thanks! This looks so yummy! I wish I could have baked it with you this week but I'll have to catch up later. first of all, I love the idea of the baking/blogging in honor of March of Dimes! I'm in! Will have to look through recipes to find something extra special! 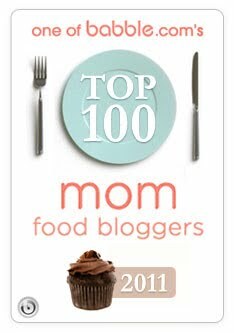 Oh--and I noticed the 'perfect' chocolate brownies post--can't wait to try those in between Dorie recipes! Ciao ! Thanks for choosing this recipe ! and thanks for telling us about the Blogging for Babies. Your torte looks lovely! I made a mini too :) Thanks for your pick this week. I'd never had amaretti cookies before so it was a new experience for me. This was a great pick - my husband and I loved it, and I left off the glaze! Such a great pick. I loved it. These look fantastic Holly! I really wish I could have played along! Thanks so much for the great pick this week! 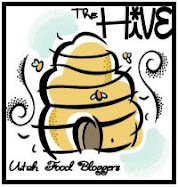 And I will definitely blog something little and send you a link... what a great cause! Your torte looks really good!! Thanks for a great pick! Thanks for a great pick! I agree that chocolate is always best :) It was nice to have something both easy and delicious this week! Excellent choice, Holly. Well done! I loved the torte and so did everyone I shared it with. This recipe was incredible. thanks for picking it. I had mine with ice cream too. I love discovering the recipes with no pictures. Thanks for choosing this - I probably would have skipped it otherwise. Thanks for choosing this recipe. It was wonderful. GREAT CHOICE! Love the quickness of this recipe! I am kicking myself for not making the almond whipped cream. I bet that bumped up the deliciousness a notch. Thanks for chooosing a good one! This had the added bonus of being suitable for Passover. Nice choice! I liked it even though I messed up. Ah well. Thanks! Wonderful recipe. Your as usually looks great. Thanks for the pick. This was such a great pick. I was intrigued too, and so very happy with the results! Thank you so much for this wonderful pick! I really loved this torte and I can't believe how easy it is to throw together- I will make it again and again! I loved reading your reasons for choosing this recipe, Holly. It was fun and a very cool cake technique to learn. Sounds like you are doing some awesome work for the MoD. Loved this torte. Great pick! Yours looks fabulous of course!! Thank you so much. I am so glad you chose this. Since joining TWD in October I step out of the box much more often. I probably never would have made many of the recipes I have if it weren't for TWD. Thank you for choosing this! They look delicious! Nice work! Great pick! The torte looks wonderful! Best wishes to the Spohr family. Holly, thanks for picking this...I might not have tried it otherwise, and it's so so good. I have formed a team to March for Maddie in Layton on May 2nd if you would like to join us. Great choice! I was so excited that it actually did only take 15 minutes and it was delicious. Wow! This cake looks really yummy! Good job! I absolutely love this recipe. I profusely thank you for choosing it! Truly wonderful. Yours looks amazing. Thanks again. Yum! It looks great!! I can't wait to try it when I can find (or make) the amaretti cookies, lol!! so glad you picked this recipe--it's a definite winner! I loved this torte! I ate Amaretti cookies growing up and haven't had one in probably 25 years. I am so happy to have rediscovered how good these cookies are thanks to you. This is a great recipe I will no doubt make many more times. I love the beautiful photos of your torte. My husband definitely thanks you for picking this one. =) He's a much bigger almond/amaretti fan than I am. And Brianna had fun helping me push buttons on the food processor. Guess I will have to make this. Your pics are wonderful. Great choice. Awesome pick! I wasn't sure how I would like it, but we ended up loving it around here! Thanks! This was a great pick....chocolate, easy, tasty! Thanks! Thanks Holly, I LOVED this - and so did everyone else. A top notch recipe. happy TWD-versary, Holly!! :) you are awesome. such a great choice & nice pics! i didn't get to try the almond whipped cream, but that sounded yummy too. Holly- I has taken me a couple of days to comment on this post, but I have come back and looked at it so many times. The story of the Spohr family absolutely broke my heart. I am familiar with premature births and the disappointment that comes with some of the outcomes. I plan on participating in your Blogging for Babies. What a wonderful event. I am so glad that Cole is doing well and that he is healthy. and the TWD pick was great too. What a lovely and thoughtful post. Really Holly. And sweeeeet torte too! Holly...this recipe was very good. Thanks for picking it. We really enjoyed it here!